Pure Yoga is a stunning two storey building dedicated to the practice of Yoga, a quiet haven created to appreciate fully the benefits of this ancient tradition. We offer two beautiful, silent and spacious yoga studios, a changing room, refreshment and a shop area. We are conveniently located in Macclesfield town centre, only 2 minutes walking distance from train and bus station, and with plenty of public parking available just few steps away from our door. 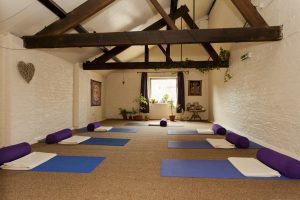 Shakti Room has lots of natural light, real wooden floors, ambient colour scheme, stainglass and an efficient and powerful environmentally friendly heating system. 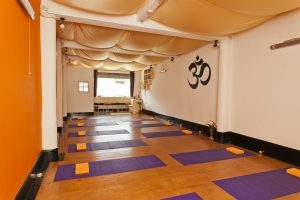 It is the ideal space to experience more vigorous yoga practices and it is spacious enough to accommodate up to 26 mats, making it an ideal space for Yoga workshops and special events. The name Shakti means “cosmic energy”and “female power”, the creative and universal life force that guides everything and everyone. Shiva Room is located upstairs and it evokes a contemplating and stilling quality. It has natural light, beautiful wooden beams and a calming energy. Our meditation and warm yoga is practiced here, as well as a full range of different classes including Yin yoga and Yoga for Sports. It accommodates up of 18 people. Our Meditation and private session room is a moderate size space where we hold more intimate activities like small groups and One to Ones. We also hold private sling yoga sessions and Meditation groups. 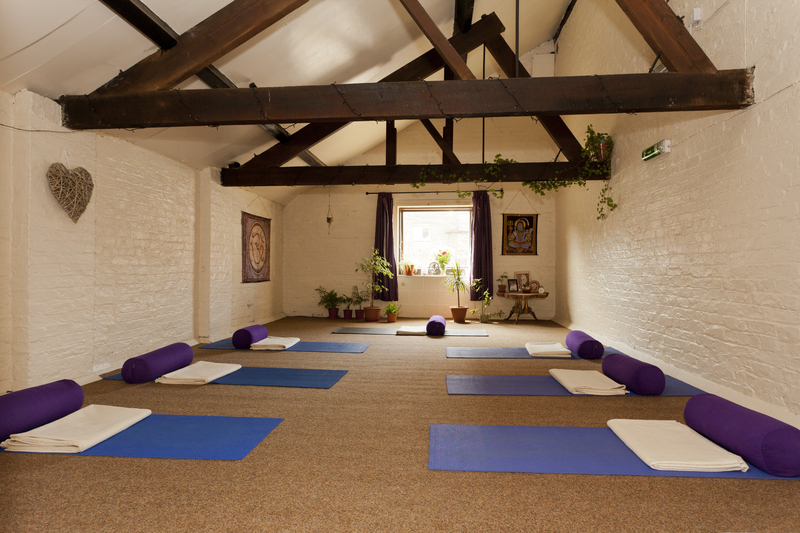 Our studios are available to hire for yogic events and courses, please contact us for more information.